Manufacturer of a wide range of products which include laboratory flotation cell machine. KMT Laboratory Flotation Cell Machine can be used for mixing, separation, cleaning, mineral sample concentration in the laboratory room of mineral processing plant, universities and research institutions, and also in geology, metallurgy, construction, chemistry, and coal industry. 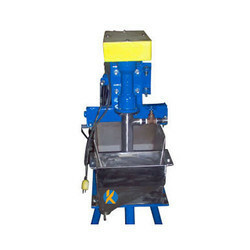 The small flotator is widely used for the separation of the nonferrous metals, black metals, precious metals, non-metal ore and industrial chemicals as well as other useful ores. Froth type lab flotator is one type equipment in scop of flotation machine that not only applying to separate and grade non-ferrous metals like copper, zinc, lead, nickel and gold, but also to make rough and fine separation of the ferrous metals.